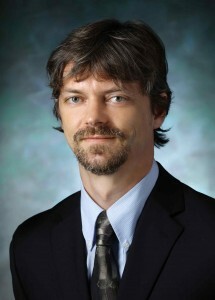 Piotr Walczak is an assistant professor in the Johns Hopkins School of Medicine Russell H. Morgan Department of Radiology and Radiological Science, Division of Magnetic Resonance (MR) Imaging.He specializes in magnetic resonance research and neuroradiology with an emphasis on stem and progenitor cell transplantation. Dr. Walczak received his MD in 2002 from the Medical University of Warsaw in Poland. He then completed a research fellowship in cell-based therapy for neurodegenerative disorders at the University of South Florida. After a fellowship in cellular imaging at Johns Hopkins University School of Medicine, Dr. Walczak joined the faculty of Johns Hopkins in 2008. He is an affiliated faculty member at the Kennedy Krieger Institute’s F.M. Kirby Research Center and the Institute for Cell Engineering. Millions of people worldwide are afflicted with neurological diseases such as Parkinson’s disease, Alzheimer’s disease, brain cancer, and cerebral AIDS. Although many new drugs are being developed to combat these and other brain diseases, few new treatments have made it to the clinic. The impermeable nature of the brain vasculature, also known as the blood-brain barrier (BBB), is at least partially responsible for the paucity of new brain therapeutics. As examples, approximately 98% of small molecule pharmaceuticals do not enter the brain after intravenous administration, and the BBB prevents nearly all protein and gene medicines from entering the brain. Our research group is therefore focused on developing tools for the analysis of the brain drug delivery process and identifying novel strategies for circumventing this transport barrier. This presentation will detail our recent work regarding the development of cell-based in vitro experimental models that accurately mimic the BBB characteristics observed in vivo. Such models are amenable to drug permeability screening and a priori prediction of brain uptake. In addition, I will discuss our efforts to overcome BBB restrictions on brain drug delivery. To this end, we are mining large antibody libraries to identify antibodies that can target and act as artificial substrates for endogenous receptor-mediated BBB nutrient transport systems. After conjugation to drug payloads that can include small molecules, proteins, or DNA therapeutics, these antibodies have the potential to deliver medicines across the BBB non invasively. There will not be a Working Group Meeting on Tuesday, July 1, 2014 or Monday, August 4, 2014. We will resume on Tuesday, September 2, 2014. Topic – An Engineered Microvessel Platform for Live-cell Imaging of Metastasis and Studying Drug Delivery across the Blood Brain Barrier.